There's magic in our Dance of the Dragonfly collection from Kanvas! Accented with a delicate metallic gold, these prints practically dance off the fabric! 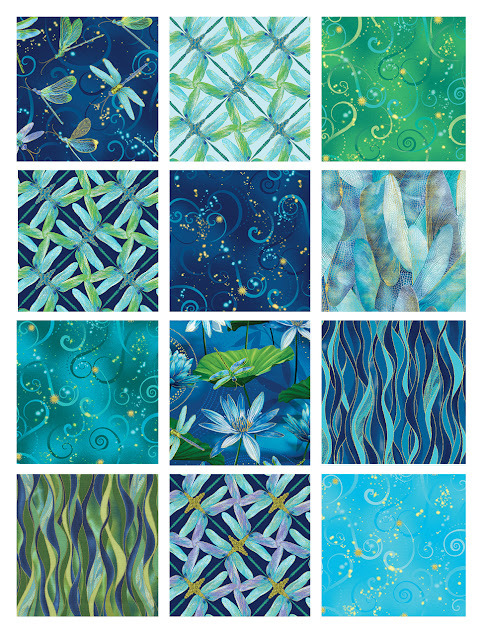 Fluttering dragonflies, playful swirls, a wavy stripe, an almost geometric dragonfly print, and a gorgeous lily pad floral--they all work beautifully together! The collection comes in two colorways--blue/green and purple/gold. 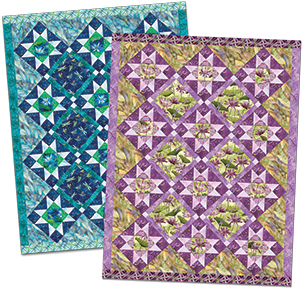 Check out our Dazzling Dragonflies free quilt pattern, shown in two colorways! Beautiful! Love the turquoise and blue colorway best. Ooooh, YES! Love the turquoise and blue. A friend would drool for the purple and green. 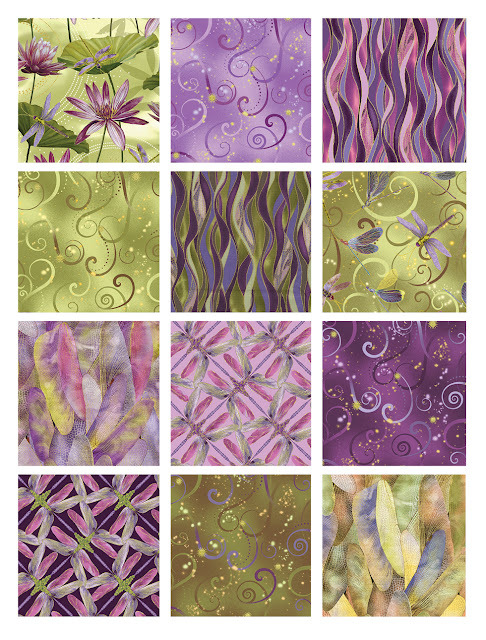 The purple/gold fabric colors are my favorites and I will definitely be watching for them in my local fabric stores! Thank you for sharing the fabrics and the patterns. Have a fantastic creative day! Love the blue/green. Beautiful fabric. I love the Turqoise colours. They will make a beautiful quilt!